I’m starting a blogging project and I’m seriously so excited! Aren’t you?! Dare you to say no! I’ve thought a lot about it and brainstormed a ton of ideas. In the end, I decided that this project would have to stay true to the purpose of my blog: honesty and change, connecting with other young people who want to make a difference. So I’ve started this project, which I’m naming A Passion For The World. Anyone can get involved! It’s fun and won’t take long! Firstly, scroll down, down, down to find a contact form. Fill in your details. Please describe, in descriptive detail, your absolute passion and why you love it and couldn’t live without it. Tell us how you think you could use your passion to change the world. If you could name five other bloggers, all with different talents and ideas, to help you on your mission who would they be? Please link their blogs. Go tell those bloggers that you chose them. Tell them about this project and invite them to get involved. Keep an eye on my blog! I will choose three bloggers to win and feature on A Light In The Darkness! Btw, if you’re reading this in WordPress reader, the form might not come up and you may have to click ‘visit site’. Just sayin’….. I would also really appreciate it if any of you wanted to share this with your blogging friends? Thank you so so much! Introducing Liv, Creator Of theCramm + My New Job! Today I’d like to introduce you to a friend of mine, Olivia (Liv) Seltzer. She is an amazing and passionate young person and the creator of a brilliant movement called theCramm. I have recently joined the team to help Liv out on her mission and I must say, I am enjoying it immensely. Liv is a blogger, so some of you may know her, though she doesn’t post anymore. She now focuses all of her time and attention on theCramm. Let me tell you about it. TheCramm aims to inspire, empower and inform today’s young people. Each morning, Liv gets up at 5am, reads all the latest world news and then writes humourous, relatable and engaging newsletters for 13-30 year olds all over the planet. She believes that you can’t change the world without knowing about it. I have now taken on the role of her researcher, which is an incredible opportunity for me. To read my stories in her words, please visit theCramm website and sign up for the e-newsletters or texts. Liv and I would both really appreciate it. You’ll be motivated to make a difference and have a smile on your lips from Liv’s great sense of humour. Please please please sign up today! Thank you very much. What are your thoughts? Are you going to support theCramm? Are you someone who wants to change the world? Have you got any feedback on theCramm for Liv and I? Don’t hesitate to let me know! Welcome back to The Realms Of Darkness, guys! Firstly, I want to say thank you to all the people who have been loyally reading and commenting on my novel, A Light In The Darkness, so far. I appreciate all of your brilliant feedback and encouragement. I can’t tell you how much it means to me. I am incredibly lucky to be surrounded by such an amazing and inspirational blogging community. You’re all awesome! A big thank you heading your way! He appeared to make a decision, turning back towards me with fierce determination. “I need to tell you a story.” his whisper was harsh and cold, but a cold that was filled with feeling. “It can’t be told here.” he hissed “The words are forbidden to pass through my lips.” I understood. “Let’s go.” I took his hand this time and led him away, following only the moon and hoping to find my way back to the light. “Does this darkness ever end?” I looked up at the stars for an answer, as the Ambassador seemed lost in his own thoughts, stumbling along behind me, his proud eyes fixed determinedly on the ground. Yet I could tell his mind was wandering and could almost visualise the dreamy spirals escaping from his head and floating off into the gloom. I longed to leap up and catch them all, save them from their dark doom. I felt I knew something off the battle between light and darkness going on in the Ambassador’s mind right now. I wished that I could tell him not to give up hope, to keeping fighting for what was good and right. But I kept my mouth firmly shut, now was not the time. We walked for hours in silence. I wondered about the Ambassador’s story and what it would entail. I imagined woe and sadness and lonely nights in a place where everything is dark. I was just thinking about how I would ask my parents if he could come live with us, when the Ambassador`broke the seemingly unbreakable quiet. “Morning will come.” he held up a hand that pointed dramatically towards the sky. “It will.” I think he was telling himself as much as he was telling me. “We’ll travel until then.” I decided “We’ll walk until the sun blesses the earth with its golden light.” He nodded. “Are you tired?” he asked. “Not really.” I half lied. “Good.” I caught a brief sense of his previous brisk aura. He seemed to have two sides to him: the snarky and intolerant side and then the sensitive, passionate and caring one, sometimes almost vulnerable. I was learning fast to switch as quickly as he did. “When the light finally graces us with its presence, I will tell you everything.” he promised. “Then there’s no use walking any further.” I told him. “The realms of darkness disappear at daybreak, don’t they? And this place is just an ordinary forest, right?” “Right.” he yawned and sank down into the leaves to rest. “No ghosts or shadows to listen in on our conversation?” I checked. “Nope.” he said, eyes closed. I lay awake, listening to his hard, manly breathing and thinking about how my life had changed in the last few hours. I never once imagined that I would be here now, in a way I wondered if it was all a dream. Then the memory of the Ambassador’s fiery eyes flashed through my mind and I knew that it was all real. I thought about the motivation those poor children and those scheming millionaires had given me. About how the Ambassador had showed me so many truths, both ugly and beautiful. He showed me that people really are dark and evil, it’s not just a fairytale myth. But he also unwittingly shed light on the fact that good can reach even the darkest corners of our souls. I must admit that the sight of the sun rising in the east and turning the trees into paintbrushes, their tips dipped in golden ink, was the most amazing thing I ever did see. I was overcome with emotion. Moonlight is so different to sunlight. It’s colder and so much more unforgiving. It is a strict parent, firm yet loving in hindsight. Because light is light whatever colour. He waved his hands dismissively. “All will soon be revealed.” he said stoutly. “If you are ready, I will begin my tale. Questions at the end, please.” “I can tell you’re a tour guide.” I giggled, which roused a smile from him. “Things happen in this world that may seem unbelievable to you.” he began, staring past me and up at the canopy that was suddenly alive with birdsong. “Like a boy just appearing. He was never born nor raised nor does he have any family. He was never given the role of Ambassador, he just floated into it, because he has nobody to guide him. He doesn’t believe in fate or destiny, but he acknowledges that it is maybe the only explanation for his existence. But then strange things happen here, things that seem impossible. So perhaps it was by a sort of black magic that he ended up in the position, being controlled by something bigger. Something that he knows not how to understand.” the Ambassador paused, but I hurried him on. I gasped. “But that’s so wrong!” He held up his hands, as if to shrug. “Then, after what seemed like and probably was, an eternity, he met a girl who was different. A girl who really did care. She opened a door and let the light seep into his tired body. She showed him the truth to who he really could be. She looked like an angel until she opened her mouth.” he stuck his tongue out at me, which left me snorting with laughter. “ No one ever gave me one.” he smiled, looking the slightest bit ashamed. “That’s okay.” I told him, laying my hand on his shoulder. “I’ll give you one.” “I’d like nothing more.” he replied. “Let me think then.” I smiled teasingly. “Hmmm. Go away for a while and when you come back, you’ll have a name for the first time in your eternal life.” That made us both laugh. He waved as he practically skipped away into the forest. I tore a page out of the notebook I always kept in my pocket and started jotting down words that reminded me of him. After a while I was ready for his return. I waited and waited and waited and waited. But he never came. I was beginning to get worried. “Ambassador?” I cried out into the forest. There was no warm, humorous voice to reply. I gritted my teeth as the signal of my legendary determination and then I set off, running into the forest at an alarming pace, my sooty cloak flapping behind me. Ok, so guys, I need your help with something super important (and fun!!!!) Being the totally organised writer that I am, I have obviously already got the Ambassador’s name. Like, of course I have! But I still want your suggestions! Please, please, please leave any random idea you have in the comments below. I recommend you use the same method as Faith, jot down words that remind you of him. Note: please don’t be alarmed if one of your suggestions pops up in next time’s chapter! Congratulations, you will have officially named an Ambassador. Now, let’s chat! Any thoughts, ideas, questions, queries, etcetera? I read this post and just had to share it. It is authored by the wonderful Elsie L.M.C, an inspiring blogger who genuinely cares about others. She wrote this poem about Alzheimer’s, a disease that affects so many of our older generation. It focuses on the fact that we so often judge people on who they are now, caught in an inescapable mess of muddled memories, sometimes unable to communicate or interact with others. But we forget about the person they used to be and still are, deep inside. Me and my family cared for a 96-year-old gentleman for seven months and he had dementia, so I know what its like. It can be confusing, saddening and frustrating for everyone. But that just makes the moments when he smiled or laughed even more special and joyful. We need to raise awareness about Alzheimer’s, so I have shared Elsie’s post with you today. Please enjoy…. The reason I started this blog was to be a’ light in the darkness’, to help and inspire others through my writing and to spread hope and light in a world that is cloaked in darkness. But every person has their struggles, no matter who they are. And the only way they can make a difference is to accept them and embrace them. This is where honesty comes in. Honesty is the greatest tool a person has, because if they can admit to having flaws, they can begin to work on making things better. One of the things I struggle with is actually being honest, and I really hoped this blog would help me with that. I feel like I haven’t opened up to you guys in a while so today I’ve decided to be brave and share some of my struggles. I thought maybe you could share your advice and we could chat in the comments? Perhaps we could help each other with our struggles? It really helps, and is a positive thing, for people to talk about their own experiences. This quote really makes me smile and what she says is perfectly true. Just to say, this post is not supposed to be depressing, it’s meant to be hopeful and inspiring. We all have struggles, none of us are perfect. Let’s help each other. 1. Being wrong. It’s nothing to do with what others think about me. It’s to do with myself, something deep inside me can’t cope with being wrong. You could call it extreme perfectionism. I always feel the need to defend myself if someone challenges something I’ve done or said. It makes it hard for me to take on their criticism, although it often meant to help me learn and grow. It often causes my family to get frustrated with me because I don’t want to listen to what they say. 2. Being in pain. I have a condition called Femoral Anteversion which I won’t go into because it’s complicated, horrible and possibly very boring. Anyway, it causes me a lot of extreme pain in my legs. I am a very determined person and try not to let it stop me in any way, but sometimes I am unable to do things. This frustrates and upsets me immensely. For example, a couple of weeks ago, me and my siblings got together with some friends we hadn’t seen in months. There were about ten of us and every person there was really athletic (except me, of course). They wanted to play sporty running games all weekend. And there was me, stumbling along behind, refusing not to play. I was in so much pain, but didn’t want to say anything and ruin it for everyone else. However, this problem will hopefully soon be over as I am having a couple of operations this autumn!!! 3. Being Patient. I know I’m probably not the only one! This one is big for me as I desperately want to be a teacher! I need to work on it…. 4. Being To Ambitious. I have always had big ideas and big ambitions and sometimes it’s difficult for me to acknowledge that they may not always walk hand in hand with reality. I’m being honest when I say that one of my greatest struggles is accepting that life can’t always be how I want it to be, that problems exist and that things are complex and ugly and hard to achieve. I want so much to change the world and I cling on to any opportunity that arises, but the people I love try to tell me that I can’t make things happen too fast. Life isn’t that straight forward, sometimes I have to go with the flow. It affects me and I have to stop it becoming a negative thing. I hope you enjoyed this post! What do you struggle with? Can you relate to any of my woes? Do you have any advice? Do you need advice on anything? I’m always willing to listen and try to help. Please can we talk? It would mean so much to me. So, let’s discuss our troubles! This blogging community is so amazing, we can totally draw together and help each other. Leave me a comment below please, people! Feel absolutely free to be honest, no one will judge you. As I said before, we all have our flaws! Heya guys! Welcome to Part 3 of A Light In The Darkness, novel by Gracie Chick. If you need to read parts 1 and 2, please click here for 1 and here for 2! Otherwise, keep readin’! WARNING!!! Philosophical rambler here. Read on at own risk! Right, as you know, this story takes place inside a metaphor, the crazy idea that maybe you have to see and experience the darkness to truly fight for the light. This novel’s purpose is to help people understand the battle between these two sides. The actual reality to the way our world works. This installment picks up where part 2 left off and gets deeper into that metaphor I was just telling you about. If you were listening! I stared bitterly at them, my fingers dancing over my thighs, drumming the rhythm of my war cry. I had worked tirelessly for years of my young life to uncover the identities of these people. To, as the Ambassador had said, separate the true light from the shady fakes and frauds. To bring justice to those who deserved it. Now they were right here and all I could do was observe, seething with anger, as they made decisions that no doubt costs the lives or freedoms of innocent people. It made me sick, there was nothing I could do. I bit my lip over and over, my brain whirring noisily inside my skull. “This is difficult for you.” I felt a light touch on my arm “I’m sorry that you have to go through it, but it’s for the best, honestly. It’s exactly the same for all of you kids when you come here and it really does help you on your journey.” I looked up at the Ambassador and smiled apologetically, I could see traces of caring worry in his streaky orange eyes. “You’re such a terrible representative. I wonder why they ever chose you.” I told him, twisting my hair between my fingers. I was getting used to black. “Why do you say that?” he asked drily. “Because you’re supposed to be like them!” I answered. “And I’m not?” he muttered, staring at the ground, his features suddenly hard again. “Not at all!” I exclaimed “For goodness sake, you’re supposed to be smart. Don’t you know yourself?” “Sometimes I don’t know.” he murmured, sitting down on a log and rubbing his forehead with a strong, olive skinned hand. “They lie to you!” my voice was firm and loud. “It’s not the truth. Light can reach the darkest corners, you just have to make the choice to accept it. Look, you have to just trust me. Okay?” my voice echoed around the whispering trees. “Okay?” I yelled defiantly. Ooh! I must say, this is my favourite part so far. I really like the depth of conversation and dialogue that I managed (after many attempts) to create. I also like the picture the last scene leaves in my mind. *closes eyes and imagines* Try it, gone on. You know you want to! See’s you all later, people. And leave me a comment please! There are guns and bandits in this story. And there’s drought and starvation too. Are you wondering how they all come together? Well, that’s how life is these days. Things don’t happen neatly in separate little places. We’re all caught by the great spider’s web of media that spans the world. That’s where this story is set. The world. It’s the story of Abdi and Khadija and Freya (that’s me) and what happened to us because of Somalia……. When I read that on the back of this amazingly, unbelievably beautiful cover, I knew I wanted to read this book. This is another version of the cover, which I feel is just as striking. This is one of those books with a whole load of bold, inspiring quotes that I will be delighted to share with you guys. But first, I would like to review this story. 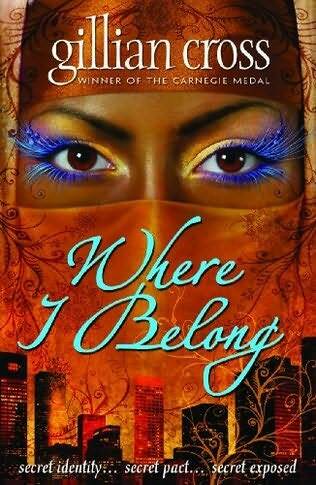 I feel like this book showed me the world, all the shocking truths and the uncomfortable realities. It didn’t hide anything from its reader, it was honest and raw and challenging. Its purpose seemed to shine from every page: informing and empowering today’s young people to make a difference, make a change. 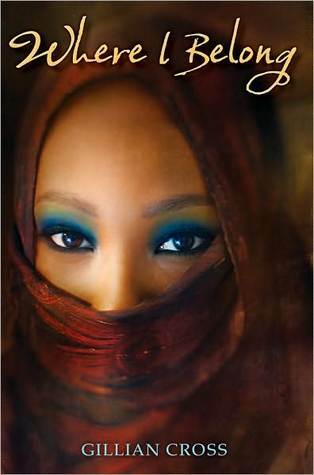 It mixes the worlds of war-torn, desperate Africa with the glamour and flamboyance of London’s secretive fashion industry, to create an interwoven story of deep characters and fantastic ideas. The character that spoke to me the most was Khadija, a poor nomadic girl who comes over to the UK as a teenager, to get an education. Through a chance encounter with London’s top fashion designer, she reluctantly gets tangled up in the elusive net of models and fashion. Her mind is filled with secrets and she is torn between many loyalties, but she remains strong and true to her beliefs and family. Her character is an interesting one, as she only becomes involved in the modelling to pay her brother’s ransom when he is kidnapped by desperate criminals back in Africa. It is going against all her values as she is a Muslim. The way the story develops is quite beautiful to watch. Relationships form between all the characters and the tight plotline unravels, obviously revealing the odd baddie every now and then! It makes you wonder what part you play in this world. Where you belong. Where do you belong? I’m quite proud of that review actually. I really enjoyed writing it and enjoyed reading the book even more. I would absolutely, unhesitatingly recommend it to anyone over thirteen/fourteen as several scenes are quite upsetting and shocking. However rich Khadija gets, she can’t end the fighting that tears Somalia apart. Only the warlords and the pirates can do that, by putting down their guns. She can’t change the fact that the modern, citified world doesn’t leave much room for boys who want to be nomads. And she can’t do anything about the global warming that makes the rains fail and dries up the waterholes. Not on her own, anyway. Those are huge issues, involving everyone. Like I said at the very beginning, we are all connected. Those were the last few paragraphs of the book and, after everything that went on between its pages, those words almost left me in tears. The next bit is from the point of view of Abdi, who is describing the place he is originally from: Somalia. He hasn’t been there since he fled as a refugee many years ago. Kids strolling down the streets, with AK47s over their shoulders. Battle wagons with sub-machine guns mounted in the back, and men haggling over ammunition at the arms market in Mogadishu. You need to be strong to survive in a place like that. You need a good family to back you up, and a pride in your identity. Freya is the daughter of Sandy Dexter, the fashion designer who spots Khadija and persuades her to be the star of her next show. Freya is nothing like her Mother, she doesn’t care about clothes or trends or the media. She’s more like her Father, a war photographer who’s been to Somalia. Freya becomes good friends with Khadija and earns her trust. Here she is describing her Father’s job. Somalia was just a name in a list I’d been reciting for most of my life: My Dad’s been a war photographer in Darfur and Afghanistan and Rwanda and Somalia……. There were pictures to go with the words, of course, because that’s what a photographer does, but they weren’t the kind of images you’d show to a little child. By the time I was old enough to see them, Dad’s trips were in the past , and I never really sorted out which was which. The photos were all pictures of violence and grief and dust, and the places blurred together in my mind. What do you think? Have you read this book? Would you read it? Did you enjoy my review? What about the quotes? Please let me know your thoughts by dropping me a comment below! *points down at comment box* Thank y’all very much for listening! Hiya People! It’s been five days since I left you all on that ruthless cliffhanger. *gasps* I know, how could I possibly do such a thing to you guys?! Shocking, eh? How have you withstood the tension? How have you coped with the suspense? I got so much positive feedback from you guys last time (along with many desperate pleas for more!) So I’ve decided to post the next part from where we left off last time. To read part one and find out about the whole plot idea/theme/complicated look into Gracie’s crazy writer’s mind, click here. Thank you! So, ladies and gentlemen, I give you the next part in Gracie Chick’s ongoing novel: A Light In The Darkness. Please enjoy! Time seemed to stand still as a huge ghostly shadow reared up from behind the trees to greet us. Taking the form of a thousand children, skeletally thin, faces worn and desperate, they marched in rows. Their hands were cupped, begging for a few spare coins, their eyes were begging for kindness. They stumbled straight past us without so much as a glance in our direction. Their small, pitiful cries echoed far and near. “They look so real.” I whispered. The boy’s reply came like a breath of wind brushing my ear. “That’s because they are.” “Is this it?” I asked quietly “Is this what the darkness really looks like?” “Yes, but we’d better keep moving. There’s much more to see.” he answered. The children kept marching, further and further away through the woods, their dim eerie lights glowed like little lanterns in the darkness and their stricken voices still crying out for the people of the world to notice them. Notice their hunger, their sadness, their desperation, their bare feet, their sickness. Their faces, all colours under the shade of grimy brown, drew and held my attention. I had to drag myself angrily away, as the Ambassador was getting impatient at my side. This was more than I could bear. I dreaded the rest of tonight. As we walked on, each deep in thought, the leaves began to whip up, whirling around our feet, though there was no wind at all. Chairs and a long wooden table, worn and weathered with age, floated silently down through the canopy. Pale figures dressed in expensive clothes and baring perfect white teeth followed them, coming effortlessly down like snowflakes, to land seated in the chairs. This scene was so different to the one I had just witnessed. They began to whisper amongst themselves and the Ambassador signalled for me to stay motionless and watch. The people talked calmly together, every now and then glancing suspiciously around them through narrowed, evil eyes. Their faces contained no feeling, only an inhuman like coldness. I watched the Ambassador step coolly into their midst and talk silently with them, gesturing over to me. I felt their greedy, selfish and cunning eyes turn to me and I glared defiantly back. I knew who these people were. I had encountered their type many times before. They were the sort of guys I campaigned against on a daily basis. These people were right at the top of all evil doings. They lived a life of luxury, hidden behind their multi-millionaire statuses, all the while taking advantage of the most poor and vulnerable people on the planet. They had no heart and they cared only about themselves. They caused those children’s fate, and they never got caught. Was it as good as the first part? Better? Worse? Would you like to read more? Please give me your honest opinions, people. Are you writing a novel? Can we talk about your writing dreams, hopes and aspirations? Do you like the style I write in? What about the content? Let me know by dropping me a comment! Okay, see you all later! Mental Health Awareness Week: My Thoughts + Why We Need You! Mental Health Awareness Week: the opportunity to make a real difference. Two amazing bloggers, Arya and Shruti from The Indian Avaaz have come up with an inspiring idea to spread the word about mental health related issues. And guess what?! They’ve asked me to help them! We bloggers are privileged to have a voice, a chance to speak out against important things, to show that we care. In the girls’ plan, you have to write a post about Mental Health Awareness Week and then ask two other bloggers to join you in the fight by writing their own post and inviting even more bloggers to get involved. It’s a bit like a tag with an awesome twist! I would like to share something of how I feel about Mental Health issues. If you have any experience of it yourself and think I have got things wrong, please do not judge. It is difficult for me to write about something I have limited understanding of and I’ve done my best. If you have opinions, please do feel free to contact me through the comments to add your thoughts. I believe that mental health comes as a result of our broken and fractured modern society. We are all a part of humanity and although we are diverse, we are more similar than we may think. We have the potential to learn to live together and help each other. If we make the choice to work as one and try to fix the problems and issues that plague society, we could eliminate mental health forever. You’d always have someone to talk to, someone who really cared. We’d all be happier, more content and surrounded by love and support, if people thought about what was best for their wider community and not just themselves. This really could happen, I have faith in the human spirit to make it work. We need to start trusting and including, not labeling and discriminating. This is not always easy and there aren’t always simple answers, but we must try, for the sake of our fellow human beings. One of the things that Arya and Shruti asked me, and all the bloggers after me, to do is list some helplines and support networks for people reading this who do suffer with a ‘mental health problem’ (not a label, guys.) Please don’t give up hope, there are so many people willing to lend you a hand of friendship. Childline, this one is for young people to open up to a trustworthy and kind adult about things they feel the need to talk about. They have a big focus on mental health. This agency does incredible work. I don’t really know of any other helplines, but I do know that there are many inspiring members of this blogging community who are willing to chat about, and share advice on, their experiences of mental health and all the issues that surround it. Although I am by absolutely no means an expert, if you wish to open up please leave a comment and I’ll certainly be willing to listen! Now, I need to ask some of you guys to join me in this fight. The aim of this is to get as many people blogging about mental health during Mental Health Awareness Week (ends on Sunday) so I am going to up the game and invite a load of you to write a post and raise awareness. Even if your name isn’t on my list, please please please get involved! You’re contributing to a better world. Guys, feel no pressure to do this, but do remember that is an amazing opportunity to make a difference and use your voice to help others. Keep sharing and keep spreading the word. Note: If you are going to do this, it should preferably be done before Sunday, the end of Mental Health Awareness Week 2017.